Google might have made it possible to launch Android apps on almost any device as part of the latest developer preview of its App Runtime for Chrome (ARC) project. The new features make it so that ARC can run on any desktop OS that has the Chrome browser installed, and opens up the ability to launch Android apps on Windows, Linux, Mac OS X and Chrome OS, according to Ars Technica. Google's updated ARC project also allows developers to run their app on ARC via a new Chrome app packager, and the only platform excluded is of course iOS. 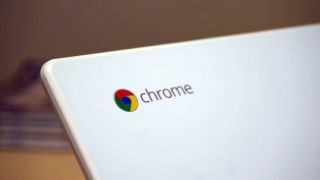 Originally Google ARC was designed to let Android apps run on Chrome OS. However, shortly after it was launched, a hack found the full potential of the project to run on any machine, and that has now been added as a full feature. ARC is able to run Windows, Mac, Linux and Chrome OS through a Native Client (NaCL), which is a sandboxing technology that lets Chrome apps run at close to native speeds and fully harness a machine's CPU and GPU. Of course it isn't as easy as that and developers will need to play around with the ARC Welder and submit the app to the Chrome Web Store before it can actually run. What ARC and the NaCL do is champion Google's strategy to make sure that developers write more apps for the Android ecosystem and they then work on more devices than ever - never a bad thing from a consumer point of view.